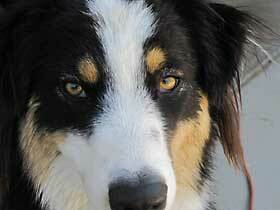 > Is the Aussie the Right Dog Breed for You? The Australian Shepherd is a great breed of dog. But before you decide to bring one home you should know what you are getting yourself into. Here are a few things to consider and some advice before getting an Australian Shepherd. Aussies like to be dominant and in control. That just makes sense because they were bred to control sheep and cattle. If there are no sheep or cattle where you live, they will simply attempt to control you. Depending on your personality they may succeed and become the alpha dog of your family pack. Are you prepared to fight for the leadership of your own household? No. Then prepare to start taking orders from your new boss. 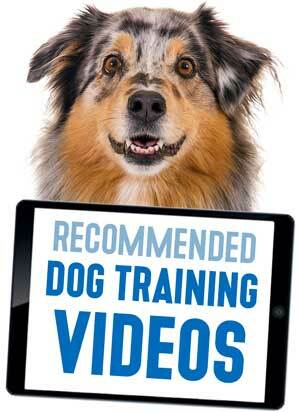 Training is required for Australian Shepherds. Bounds need to be set by you or they will be set by your Aussie. (See above.) They are always learning, so training should be ongoing into adulthood. A well trained Aussie is a happy Aussie. They love to learn new things and they aim to please. You have to be willing to commit the time and energy necessary. If you can't - don't get an Aussie. An untrained Australian Shepherd is not something you want. You might be able to get away with this with another breed, but with an Australian Shepherd you would just be asking for trouble. Australian Shepherds need lots of exercise—and then some. Brother and sister: Scooter, male, red-tri, 1 1/2 years old and Tillie-Roo, red Merle, 3 years old. 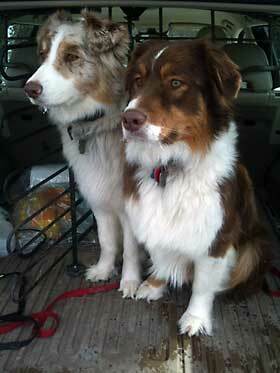 Here they have just jumped back in the car after an hour run in the snow covered woods. Australian Shepherds not only love but need exercise. If your Aussie will not be working for a living you must be willing and able to accomodate this need for physical activity. Without regular rigorous exercise you will likely notice a change in an Australian Shepherd's demeanor. Not only will they be bored but they will become antsy. As they become increasingly frustrated and start to go stir-crazy they can get short tempered. I would have to consider denying an Australian Shepherd excercise to be cruel. They just can't stand it for long. They need at least a fenced yard to run in. Aussies are not apartment dogs. Miniature Australian Shepherds might be slightly better suited to an apartment but they still need frequent exercise. Aussies get very attached to you. If you just want a dog to decorate your back yard don't get an Aussie. They want to be with you and are highly affectionate and social. For example, Levi is a Mommy's Boy. My wife can't move an inch without Levi attached to her leg. We've often thought we should have named him "Shadow." Aussies want to be where the action is, with you every step of the way. By the way, here's a tip if you have an Australian Shepherd in your house. Be careful on the stairs! Aussies will literally walk so close to you that it is easy for them to brush your leg as you are going down the stairs. This can be of special concern if you are unsteady on your feet or if you have children who could be toppled. They are called "velcro dogs" for good reason. Aussies are very protective of their turf. That's what they do. They are wary of strangers. This tendency needs to be balanced with proper socialization from when they are puppies onward. Otherwise you will find guests to your home facing a very aggressive dog. Alternately your Aussie may become inordinately shy and fearful of strangers. Either case can result in your Aussie biting people and other animals. Not good for your dog, not good for you and definitely not good for your guests (or the neighbors kids). Before you buy an Aussie be prepared to commit to ongoing socialization. Have you considered the real costs? Beyond the initial costs there are ongoing bills that can add up fast. There are the obvious ones, food expenses and veterinarian costs of course. Regular vet visits for check-ups and shots are enough, but what happens if there is a serious injury or illness? Levi was diagnosed with epilepsy and has to be on medication everyday for the rest of his life. Don't forget about training courses and, yes - damage to your house and furniture. Even the best behaved puppies chew things they aren't supposed to from time to time and housebreaking doesn't happen overnight. Before you bring a puppy home, you have to honestly ask yourself if you can really afford to keep it. Please note that the Australian Shepherd and Miniature Australian Shepherd are considered separate breeds by ASCA and the AKC. Haven't had a dog before? Think twice. This breed is not a starter dog. There are dogs, and then there are Aussies! If you are willing to go all out and commit to what owning an Aussie is all about, and educate yourself about dogs and how they think and why they do what they do you may be successful with an Aussie even if it is your first dog. But ask yourself if you really want your first dog to be the ultimate doggy challenge. Do you like your house to be "just so"? Dogs can do a number on your house. If you get an Aussie the days of your house being featured in 'Clean Freak Magazine' are over. Australian Shepherds can shed quite a bit but are not as bad as some breeds. But no matter how much you brush you are still going to find hair everywhere. Then there's the muddy feet, the housebreaking "accidents" left on the carpet, and if your dog's stomach gets upset... well, you get the picture. Looking for an attack dog? Don't get an Aussie. They make great watchdogs due to their strong guarding instincts. Don't worry, they will let you know what's happening. You'll hear about every single person, dog, squirrel, bird or plane that passes by your house, believe me! But in addition to the legal concerns about having an attack dog, Aussies aren't really big enough to be dependable man-stoppers. Think about a German Shepherd or Rottweiler for that job. 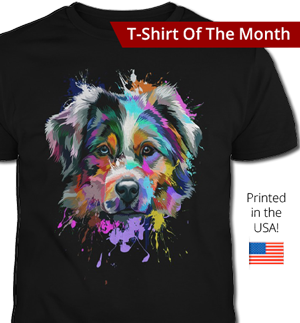 Australian Shepherds are very intelligent and thrive on physical and mental challenges. This handsome fellow with the piercing eyes is Oakley. Are your kids bugging you to get a puppy? Don't get an Aussie, they are not toys. Although affectionate and loving companions, the Aussie is not the dog to get for the kids. Some adults have a difficult time reigning in the strong personality of Australian Shepherds. They have a mind of their own and need strong leadership. If you are never around and are out of the house most of the time, an Aussie is not for you. These dogs are extremely intelligent and left to their own devices they will think up things to do to fill the long lonely hours. Things you might not like when you get home. But can you blame them? Aussies need to feel that they are part of your family pack. Being abandoned all day can be hard on any dog but is especially true for Aussies. Too busy? Get a goldfish. Why do you want an Australian Shepherd? Don't get an Aussie because you heard they're smart, or you like their looks, or because your brother-in-law's friend knows a guy who said they're great. All true, but you have to consider the total package. It's not good enough to get an Aussie because you want a dog. You have to want an Aussie - and all that that entails! I write this not to discourage you from getting an Australian Shepherd but to get you to evaluate if this is the best choice of breed for you. It's better to find this out now before another Aussie winds up in a rescue shelter and you and your family are disappointed. If you read this and you still honestly believe that an Aussie is the dog for you, and that you could provide for the particular needs of an Aussie, congratulations and welcome to the Australian Shepherd Lovers Club! Sure Aussies can be a challenge, but they are well worth it. Still Thinking of Getting an Aussie?